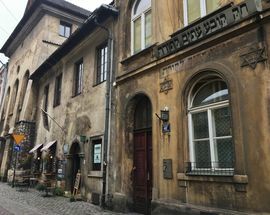 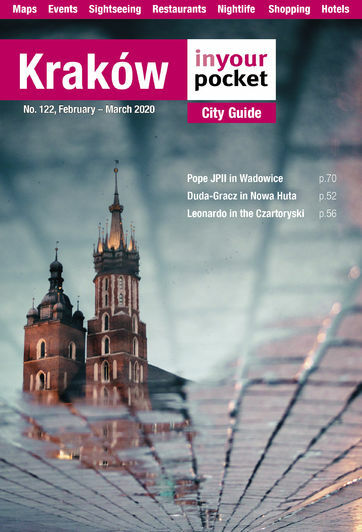 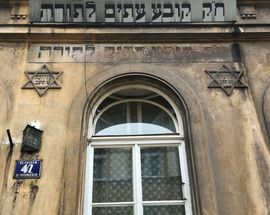 If you thought Kraków had a lot of churches, two doors down from the High Synagogue, en route to the Old Synagogue, you'll find this Orthodox prayer house. 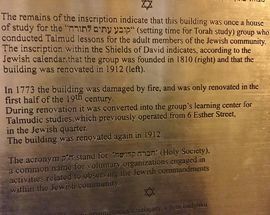 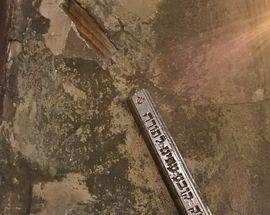 Most of what we know of the building is based off of its still-just-visible Hebrew inscription, which says something along the lines of 'Making Time for the Torah Society,' and indicates that Talmud lessons were conducted here. 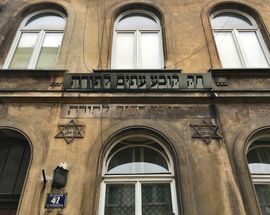 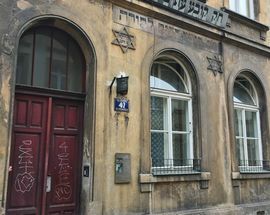 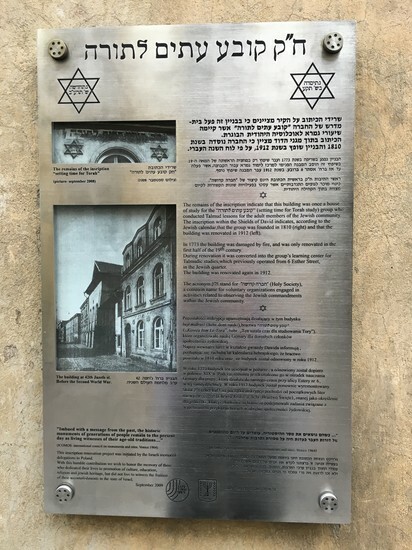 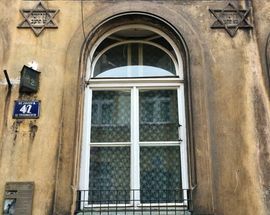 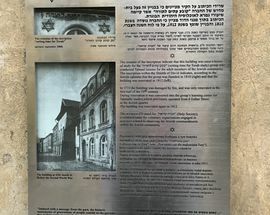 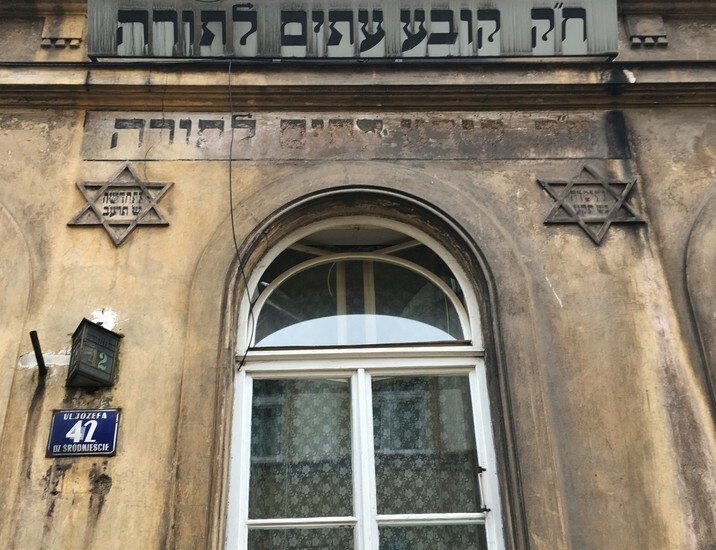 The two Stars of David on either side of the inscription tell us that the organisation was founded in 1810 and that the building was renovated in 1912. 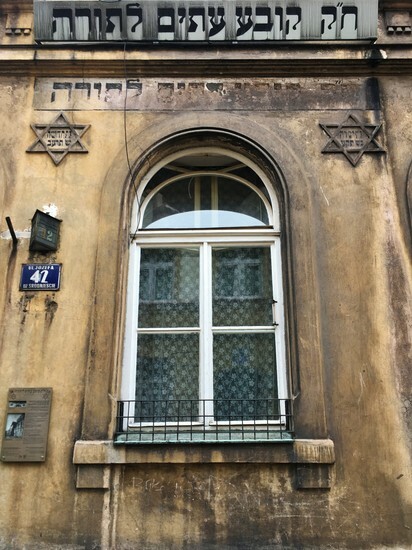 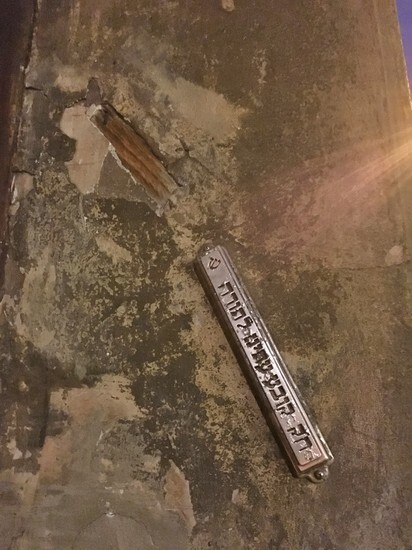 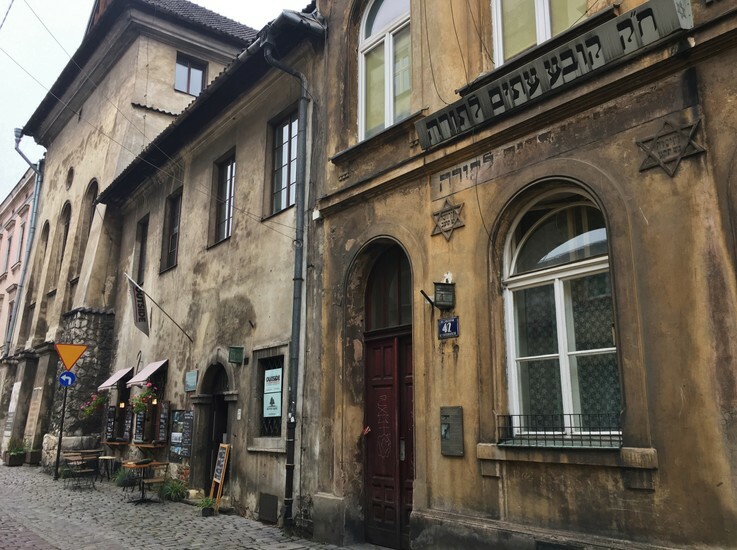 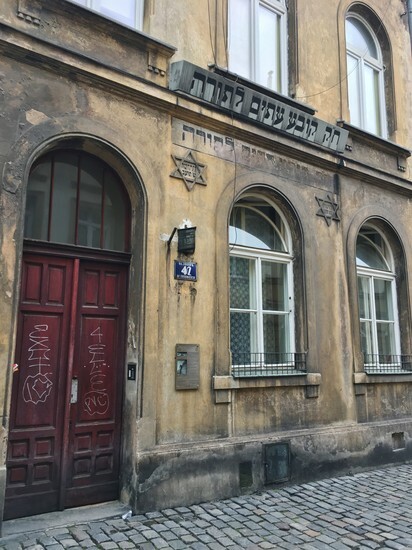 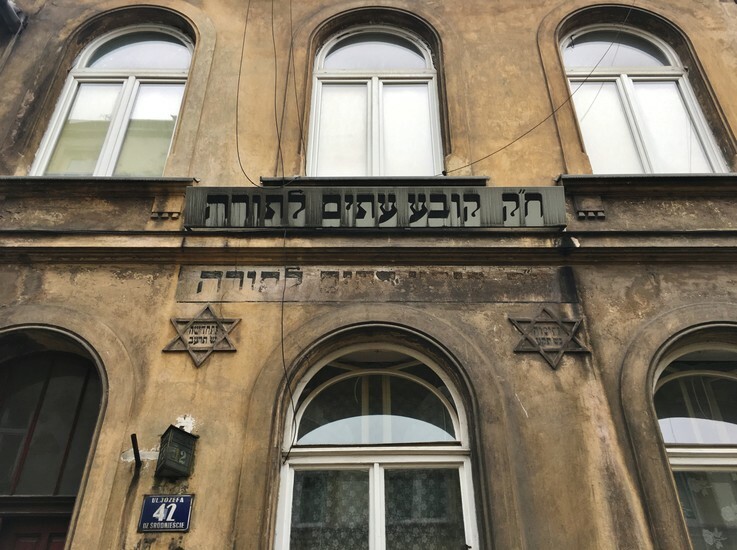 The original mezuzah trace can be seen on the doorway here, and on many buildings in the district if you keep your eye out. 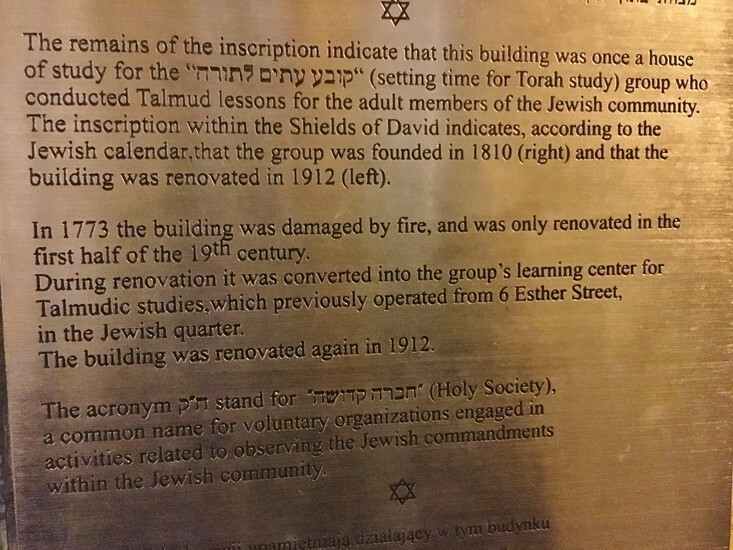 Devastated during the war, today the building is strictly residential.